Settled in 819 by the monk Kukai, Koyasan is the headquarters of the Koyasan Shingon sect of Buddhism. 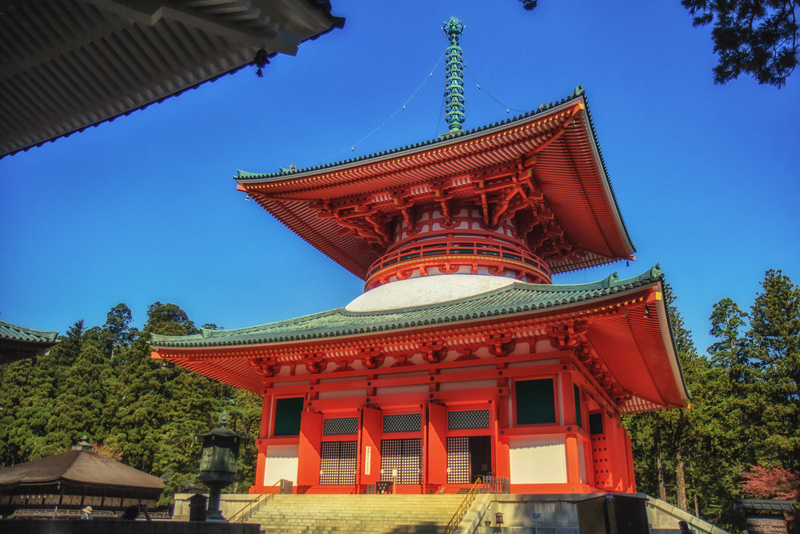 Danjogaran contains the Konpon Daito, a pagoda that according to Shingon doctrine represents the central point of a mandala covering for all of Japan. Dedicated a UNESCO site in 2004 as part of the Sacred Sites and Pilgrimage Routes in the Kii Mountain Range.